Former Super Eagles striker, Daniel Amokachi who declared himself Super Eagles number one fan still has that patriotic zeal running in his veins like in the days he played for Nigeria. 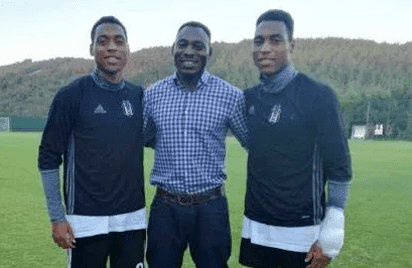 The USA ’94, France ’98 and Korea-Japan 2002 World Cup star has said he would want to see his twin sons follow the path he has threaded, by playing for Nigeria, instead of Tunisia, the country of their mother. He informed that the boys had turned down the opportunity to be capped by Tunisia, but remains hopeful that call will come up for them to play for Nigeria. “They are doing pretty well in Besiktas, they are with the U23 team, we are trying to see if they can play the professional angle of it because, in Turkey, they leave the foreign slot for professionals. Amokachi said. He prayed that Super Eagles players who are World Cup bound should remain injury free in order to find themselves in good form before the tournament.